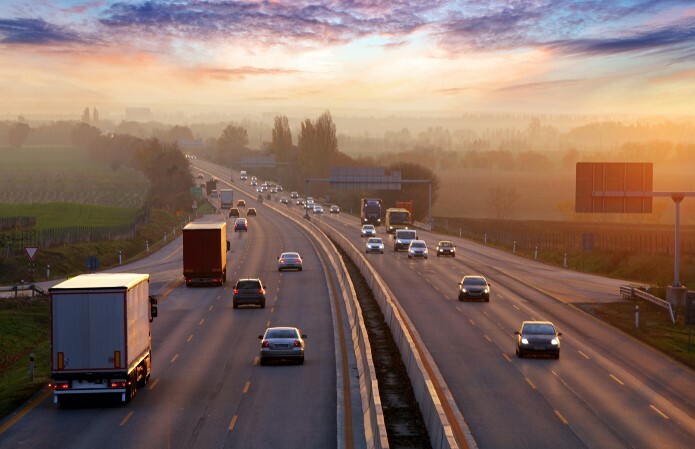 Why Use a Transportation Management System? A transportation management system (TMS) is a software solution for shipping, tracking and other freight management tasks. On its own or in combination with a warehouse management program, a TMS can offer benefits for businesses of all sizes. Despite this, many organizations are hesitant to change the way they do things and don’t use TMS programs to their full benefit. In this article, we cover the main benefits of a TMS and some of the ways programs like F.A.S.T. from Rockfarm Supply Chain Solutions can improve your bottom line. The main benefit of using a transportation management system is efficiency. Well-designed TMS software will help you optimize and streamline shipping by automatically identifying opportunities for load consolidation and improved route planning. By integrating a TMS with your existing warehouse management and enterprise resource planning software, you’ll be able to better coordinate shipping and freight with other aspects of your business. TMS software can also make your internal operations more efficient, reducing the amount of paperwork and data entry your team must complete when arranging a shipment. For example, a TMS like F.A.S.T. can automatically produce a custom bill of lading on your organization’s letterhead. Ultimately, when your operation is more efficient, it’s your customers that benefit most. With a TMS, your staff can access accurate, real-time shipment information, which makes it easier to respond with confidence to any client questions or concerns. As well, with their administrative requirements reduced, employees can dedicate more time to customer service and other big-picture projects. Finally, a TMS makes it easier to accommodate last-minute shipment changes without a lot of hassle. For small and medium-sized businesses struggling to stand apart from their larger competitors, the customer service benefits of a TMS can be priceless. Perhaps the most important benefit of a TMS is its ability to generate business intelligence that you can use for strategic planning. A TMS with integrated reporting features can show you hidden trends and areas of concern you may not have noticed otherwise. With F.A.S.T., you can see both historical and real-time freight analysis data plus other useful metrics. In many organizations, only a few specialized team members have the access and context necessary to analyze this sort of granular shipping data. A TMS puts it in terms anyone can understand, facilitating collaborations between departments and making it easier to solicit buy-in from management on special projects. Together, the above benefits translate to an improved bottom line and, ultimately, a more stable and sustainable business. The operational improvements that come with a TMS make your organization leaner and more streamlined without compromising effectiveness. This, in turn, generates a more positive user experience, which helps retain and attract customers. Finally, over time, the intelligence provided by a TMS can identify opportunities for growth and continuous improvement, positioning your organization for future success. Learn more about Rockfarm and the specific benefits TMS programs such as F.A.S.T. can have for your business by contacting a Rockfarm Supply Chain Solutions representative directly. Why Should You Outsource Your Freight Claims Management?